Remaining copies of his book were bought up by the Marist congregation whose website last night still carried a statement first posted in February of last year which reads that “the writings of Fr. Sean Fagan in the book What Happened to Sin do not have the approval of or represent the views of the Society of Mary. It’s getting more and more difficult to express surprise, amazement, consternation, horror, you name it – the scandals are coming thick and fast in this pontificate. If Pope John Paul is to be granted the title “The Great” (and anything’s possible now) then we have to acknowledge His Holiness, Pope Francis The Absolutely Fantastic. There’s just so much that could be said about the rehabilitation of one of Ireland’s most notorious dissenters, a priest who doesn’t have a Catholic thought in his head. However, the following is one question I’d like everyone to address, especially the neo-Catholics among us: If Fr Fagan has been rewarded for his dissent and heresy by being restored to the category of “priest in good standing” because “he loves the Church in spite of all its weaknesses” where does that leave Archbishop Lefebvre, Bishop Fellay and all the bishops and priests of the Society of St Pius X who love the Church deeply because it is the perfect and spotless Bride of Christ and whose only “heresy” is to faithfully preserve the Catholic religion and liturgy as it has been handed down to us? The “disobedience” mantra won’t work any more, you see, because Fr Fagan is disobedient – big time. Defiant and disobedient. So, answers please. Why is the Vatican not lifting all penalties from the priests and bishops of the Society of St Pius X? Is The Divine Mercy Devotion Catholic? As we approach Divine Mercy Sunday, it might be a good idea to reflect on this relatively new devotion and Feast Day in the Church. Personally, I’ve never been attracted to it at all. I dislike the image which compares very unfavourably, in my view, to the traditional image of the Sacred Heart of Jesus and I’m taken aback by some of the things Our Lord allegedly said to Sister Faustina. 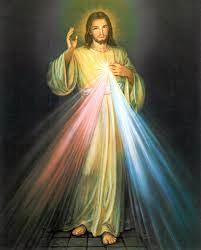 However, I realise a lot of faithful Catholics do like the image and pray the Divine Mercy devotions sincerely. This thread is not, in any way, intended to be a criticism of them. Two articles are offered here to encourage discussion. The first is a very honest enquiry on an American blog, entitled Criticisms and Responses to the Divine Mercy Devotion and the second is the article below, by Fr Peter Scott, a priest of the Society of St Pius X (SSPX) which is thought provoking. After reading the articles, please feel free to share your thoughts on the topic proposed for discussion: Is the Divine Mercy Devotion Catholic? Many people have certainly received graces from the devotion to Divine Mercy propagated by St. Faustina, and her personal piety was certainly most exemplary. However, this does not necessarily mean that this devotion is from God. 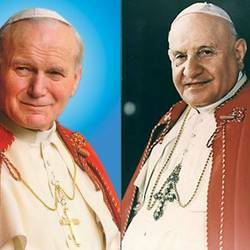 It is true that Pope John Paul II promoted this devotion, that it was through his efforts that the prohibition was lifted on April 15, 1978, and that he even introduced a feast of Divine Mercy into the Novus Ordo. However, the fact that good and pious people receive graces and that Sister Faustina was pious do not necessarily means that it is from heaven. In fact, it was not only not approved before Vatican II. It was condemned, and this despite the fact that the prayers themselves of the chaplet of Divine Mercy are orthodox. The supernatural nature of the revelations made to Sister Faustina is not evident. No feast of Divine Mercy is to be instituted. It is forbidden to divulge images and writings that propagate this devotion under the form received by Sister Faustina. The diffusion of images and writings promoting the devotion to Divine Mercy under the form proposed by the same Sister Faustina was forbidden. The prudence of the bishops is to judge as to the removal of the aforesaid images that are already displayed for public honor. What was it about this devotion that prevented the Holy Office from acknowledging its divine origin? The decrees do not say, but it seems that the reason lies in the fact that there is so much emphasis on God’s mercy as to exclude His justice. Our sins and the gravity of the offense that they inflict on God is pushed aside as being of little consequence. That is why the aspect of reparation for sin is omitted or obscured. The true image of God’s mercy is the Sacred Heart of Jesus, pierced with a lance, crowned with thorns, dripping precious blood. The Sacred Heart calls for a devotion of reparation, as the popes have always requested. However, this is not the case with the Divine Mercy devotion. The image has no heart. It is a Sacred Heart without a heart, without reparation, without the price of our sins being clearly evident. It is this that makes the devotion very incomplete and makes us suspicious of its supernatural origin, regardless of Sister Faustina’s own good intentions and personal holiness. This absence of the need for reparation for sins is manifest in the strange promise of freedom from all the temporal punishment due to sin for those who observe the 3:00 p.m. Low Sunday devotions. How could such a devotion be more powerful and better than a plenary indulgence, applying the extraordinary treasury of the merits of the saints? How could it not require as a condition that we perform a penitential work of our own? How could it not require the detachment from even venial sin that is necessary to obtain a plenary indulgence? The published Diary of Saint Maria Faustina Kowalski (Marian Press, Stockbridge, MA, 2007) also indicates several reasons to seriously question the supernatural origin of the more than 640 pages of voluminous and repeated apparitions and messages. The characteristic of any true mystic who has received supernatural graces is always a profound humility, sense of unworthiness, awareness and profession of the gravity of his sins. Yet this humility is strangely lacking in Sister Faustina’s diary. On October 2, 1936, for example, she states that the “Lord Jesus” spoke these words to her: “Now I know that it is not for the graces or gifts that you love me, but because My will is dearer to you than life. That is why I am uniting Myself with you so intimately as with no other creature.” (§707, p. 288). This gives every appearance of being a claim of being more united to Jesus than anybody else, even the Blessed Virgin Mary, and certainly more than all the other saints. What pride, to believe such an affirmation, let alone to assert that it came from heaven! In April 1938, Sister Faustina read the canonization of St. Andrew Bobola and was filled with longing and tears that her congregation might have its own saint. Then she affirms the following: “And the Lord Jesus said to me, Don’t cry. You are that saint.” (§1650, p. 583). These are words that most certainly no true saint would affirm, but rather his sinfulness and unworthiness of his congregation. This presumption in her writings is not isolated. She praises herself on several occasions through the words supposedly uttered by Jesus. Listen to this interior locution, for example: “Beloved pearl of My Heart, I see your love so pure, purer than that of the angels, and all the more so because you keep fighting. For your sake I bless the world.” (§1061, p. 400). On May 23, 1937 she describes a vision of the Holy Trinity, after which she heard a voice saying: “Tell the Superior General to count on you as the most faithful daughter in the Order” (§1130, p. 417). It is consequently hardly surprising that Sister Faustina claimed to be exempt from the Particular and General Judgments. On February 4, 1935, she already claimed to hear this voice in her soul: “From today on, do not fear God’s judgment, for you will not be judged” (§374, p. 168). Add to this the preposterous affirmation that the host three times over jumped out of the tabernacle and placed itself in her hands (§44, p. 23), so that she had to open up the tabernacle herself and place it back in there, tells the story of a presumption on God’s grace which goes beyond all reason, let alone as the action of a person supposedly favored with innumerable and repeated mystical and supernatural graces. Did Paul VI Condemn Vatican II? How does it happen that the gates of hell are now causing us so much trouble? The Church has always been disturbed by persecution and heresies, by conflicts with temporal powers, sometimes by immoral conduct of the clergy, sometimes even of popes. But this time the crisis seems to go much deeper, since it affects the Faith itself. The Modernism we face is not a heresy like the others: it is the main drain of all heresies. Persecution now comes not only from outside but from within the Church. The scandal of dissolute living, or just giving up, has become endemic among the clergy, while the mercenaries who abandon the sheep to the wolves are encouraged and honoured. Click here to read the rest of this chapter from Archbishop Lefebvre’s Open Letter to Confused Catholics. Religious liberty, collegial equality and ecumenical fraternity are concepts so commonplace in modern society that most contemporary Catholics are puzzled at the very idea that there could be anything wrong with them. How can this collective error be corrected? And is Pope Paul VI less culpable than his successors in the Petrine Office with regard to the crisis in the Church post-Vatican II? After all, he did, it seems, try to raise the alarm… didn’t he? He did, in fact, condemn the Council… didn’t he? A Happy Easter to all our readers, with special congratulations to our blogger, Catholic Convert, who was received into the Church during the Easter Vigil. Welcome, Catholic Convert! God bless you! If anyone has any ideas about why some folk attend Mass only at Christmas and Easter, feel free to share them here, especially if you can suggest a way of solving the problem of bi-annual Catholicism. Well, we’ve had a new Mass, new Rosary, new Catechism, new Evangelisation – so, what’s the big deal about a new history? (After all, check the source again) it’s the Vatican speaking. And what better way – after 100 years of diabolical disorientation – to celebrate the Fatima Apparitions?